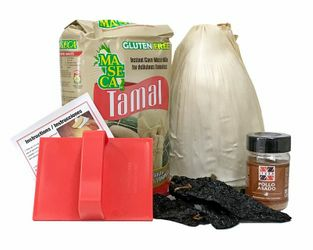 ITZZA offers this excellent kit to get you and your loved ones started with the art of Tamale Making. The preparation of tamales first begins with the dough (masa) that is made from nixtamalized corn or a masa mix can be used instead, like Maseca?s Tamale Corn Mix. The masa is wrapped in the husk leaves included before being cooked, and savory or sweet filling is then added to the dough. Then use the MAS tamale masa spreader for a perfect spread of the dough to make one tamale in each corn husk. To prepare your protein, this package includes an Itzza Pollo Asado Mix that can be used to season chicken for a better tasting flavor. 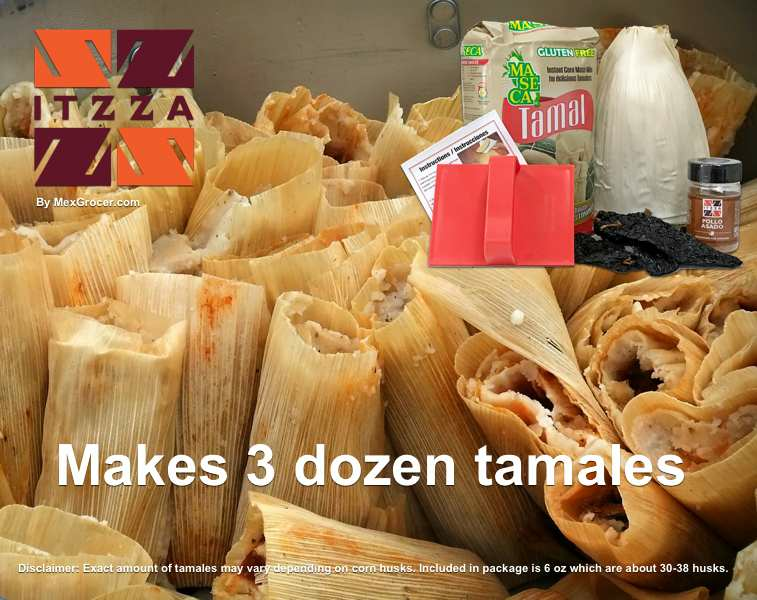 EL PAQUETE UNICO ITZZA para hacer tamales Incluye: Harina para Tamales MASECA, Hojas para Tamales, Extendedor de Masa MAS TAMALES, Chiles Secos y Sazonador para Pollo Azado marca ITZZA.